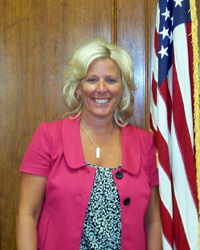 Kate Vargo graduated from Sandusky High School in 1987 and from Ohio University in 1991 with a BS in Education. She was first appointed to the Board of Education on June 29, 2012. Kate has two daughters, both of whom are graduates of Sandusky High School. Kate was inducted into the Athletic Hall of Fame as an Athlete in 2007.